You have heard this many times over – Having a Blog on your website increases visitors, brings leads, helps establish yourself business as an authority, raises the author’s profile as a thought leader, etc, etc. Convinced with the benefits you decide to start a Blog, but before you begin, you hit your first roadblock…What do I write about?! Sounds familiar? While Blogging is one of the most powerful ways to market with content, blog posts may go unread and fail to deliver the expected visitor engagement if done without proper thought & target. So, lets lay out a simple plan of action that will help you get started and build a solid pipeline of Blogging Ideas that can be pursued to churn out content that will keep your visitors coming back for more. A Buyer Persona is a fictitious example of a person who may buy or has bought your product or service. It should typically mention the Background, Demographics, Challenges and Goals of the person. 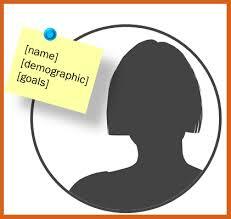 Prepare a list of personas that cover the full spectrum of your targeted market. This way you identify whom you are writing for. And how would you know this? – Well, if you are in that business for a few years then you’d know by now. 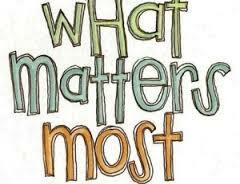 If not, head over to the website forums, social media groups, etc where your prospects can be found. Read their queries and comments and you’ll get a fair idea of what they are looking for. By having this nailed down, you know what really matters and what interests them. Thereby providing you direction on where to establish yourself as a problem solver, a thought leader and earning people’s trust. Now that you have established the Who & What, it’s time to jot down all associated topics, subjects and issues that you can probably write on. This may not be a single person’s job, so get your colleagues together and brainstorm for topics in order to get different perspectives and ideas. While original Ideas are definitely needed, you can ride on industry News & Events as well to get additional topics. Set up Google Alerts for keywords and topics pertaining to your industry, these can provide good fodder for writing ideas. Original Content should be augmented with curated content otherwise you may soon run out of steam with your Content Marketing Strategy. Topic generator tools such as Hubspot’s Topic Generator. Use these if you go blank and can’t come out with a substantial list. 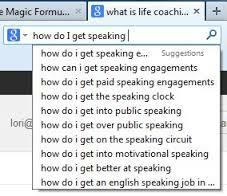 A Blog Topic list that can feed at least 6 month’s of publishing schedule would be ideal. Of course, you can keep adding to the list as and when ideas pop out at you unexpectedly or wherever there’s opportunity to newsjack! Down the line if you are able to establish a loyal visitor following and blog subscribers, you can also ask them what they’d want to read by means of a survey on your website. Blogging is akin to Jogging. Yes, you have to be steady and consistent. This helps not only to keep visitors engaged but also raise your rankings on Search Engines. So, think like a publisher….create an inventory of topics that you’d blog about and schedule it for publishing according to a frequency that you are comfortable with – once a day, once a week and so on. 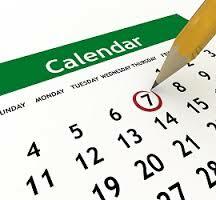 Maintaining a calendar will enable you to execute a blogging strategy with steadiness and discipline. So, here we are! If you read this far then you probably have gotten a fair understanding of how to come out with a list of meaningful topics that will resonate well with your target audience. And hopefully this delivers the value that you are looking to provide through your Blog.